As Facebook continues to evolve to stay competitive, the social media giant is now vying for a bigger share of the Web video market long dominated by YouTube. Facebook is reaching out to a number of content producers, including some of YouTube’s largest, to entice them to start distributing their videos on the social network. The social media network has already attracted some of YouTube’s major content creators to place their videos on the social site, including Collective Digital Studio and Disney’s Maker Studios. Facebook plans to deliver the video content to users through the News Feed, along with the pages of the content creators. The goal of this move into Web content is two-fold. In addition to helping monetize content for its creators, Facebook wants users to remain on Facebook to view video content instead of first finding it on Facebook, and then leaving to watch it on YouTube. It would be a lucrative situation for everyone involved. The Wall Street Journal posted more on Facebook’s move to become a video content player. Until now, content creators have used Facebook to promote their videos, but have opted to place them on YouTube and other video platforms that allow them to directly profit from ad sales. But now Facebook and these video content creators are trying to figure out how to leverage the social media network’s products, including possibly incorporating advertising into the videos themselves. Industry insiders expect Facebook to introduce an ad product such as content monetization by the end of the year. 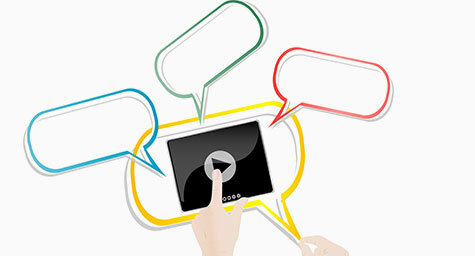 YouTube has remained the leader in Web video and is virtually synonymous with video viewing. But it’s important to realize that Facebook has always been a major competitor in online video and that a lot of its content has been viewed on the social site, including YouTube videos posted on users’ pages. Around six months ago, Facebook got serious about increasing its presence and prominence in online video by pursuing more Web content creators and trying to convince to distribute their work on the site. The results have very promising for content producers in terms of traffic and reach. And they’ve been just as strong for the social network. The New York Times reports that Facebook has served up an average of a billion video views a day since June, with two-thirds of them on mobile devices. Plus, nearly 100 million new videos are uploaded every month. This may be a small fraction of YouTube’s traffic, but it is a substantial increase from just a few months ago. And recently, Facebook has been encouraging users to upload more videos directly to its site, which enables the site to sell ads against the videos. eMarketer predicts that Facebook could seriously challenge YouTube’s dominance of the Web video ad market if the company succeeds with its video content plans. According to online video executive Paul Kontonis, many video content creators are looking forward to forming a community on Facebook and directly uploading more of their videos. They view it as both a great marketing opportunity and a way to eventually make money from ads. It would allow content creators to have a monetary share of the videos that they share with the world. Discover how online video content can impact your digital marketing strategy. Contact MDG Advertising today at 561-338-7797 or visit mdgadvertising.com.